← Buy Our Album! We’re Nirvana! Kurt Cobain wasn’t the only musician from the early 90’s “Seattle Scene” to die at a young age. for some kind of symbolic reason. Very much unlike Kurt, however, Layne didn’t suddenly and shockingly die at the height of his fame. Rather, everyone knew he was heading for a pine box for a number of years before it finally happened. A good number of his lyrics even seemed to evidence that Layne himself knew this. But while he was here, his voice coupled with Jerry Cantrell’s nuclear-blast music brought a heavy, sludgy, dark sound not like anything up to that point. Layne had a couple of side projects, one of which was occasionally guest-singing with the band Second Coming. Another better known one was collaborating with members of Pearl Jam and Screaming Trees in the supergroup-of-sorts Mad Season. 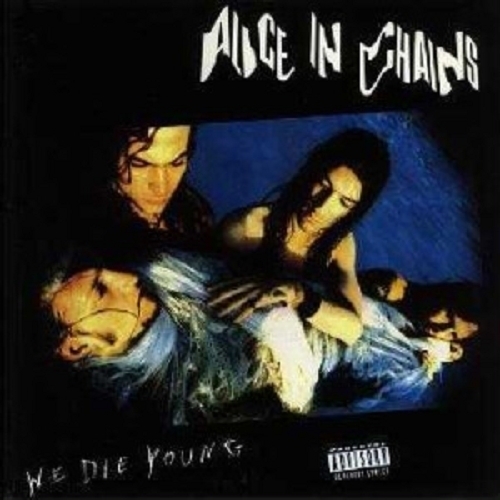 Anyone who knew Layne (aka “The Voice Of Doom”) only from AIC and thought his sole talent was screaming was thoroughly disabused of that notion. From 1995, a full seven years before his death, but it sounded like he knew it was already over, didn’t he? Layne could also play drums and was (I’m speculating here) a bit of “Benny Hill” fan. closed with ‘Man in the Box. '” How disturbingly appropriate. Posted on April 5, 2014, in ♫ ♪ ♫, Life and tagged life, music, radio. Bookmark the permalink. 2 Comments. A fine piece and great musicology. I like the sounds of Second Coming especially, and wonder why I never heard of them before. They didn’t get much airplay as far as I know. I only first recall hearing about them around 5 years ago when a friend pointed me to their videos with Layne on youtube.